Scenic biking between Pittsburgh, Pa., and Cumberland, Md. The Great Allegheny Passage is a 150-mile trail that leads you beneath leafy green canopy and dazzling fall colors, past hidden waterfalls and glens, chasing glimpses of the river beside you. The gentle grade and crushed gravel surface makes the GAP easy to ride and accessible for cyclists of all ages and abilities. The GAP trail moves you from big city to green forest to small town for an adventure like no other. Ride the GAP with our trip planning service and you’ll know that you’ve experienced the best of the trail! Our 6-day GAP trip ensures you ride no more than 35 miles in a day which allows for plenty of time to see the sights and relax along the trail. Welcome to Pittsburgh! Arrive a day or two early and spend time exploring the city. Enjoy a city bike tour, visit the Warhol museum, or take in a Pirates baseball game at PNC Park. On Day 1, you’ll start your GAP trip in Downtown Pittsburgh at the western terminus in Point State Park. Take a moment to grab a photo at the start, then follow the Monongahela River out of the city. 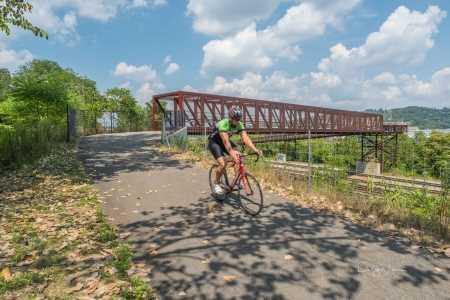 The transformation of Pittsburgh is on display as you cycle past the former steel towns that drove the U.S. in the 20th century. After a full breakfast to start the day off right, enjoy a leisurely ride through SW Pennsylvania history. Unique geologic formations and hidden industrial remnants from the coal and coke days tell a story of the long history of this region. You’ll spend the night in the small town of Connellsville. Enjoy breakfast at your B&B or hotel. 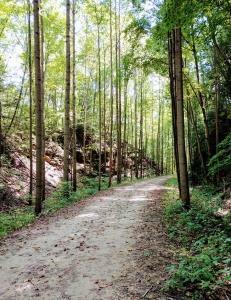 Today you’ll have the chance to pedal through one of the most gorgeous sections of the GAP trail – Ohiopyle State Park. 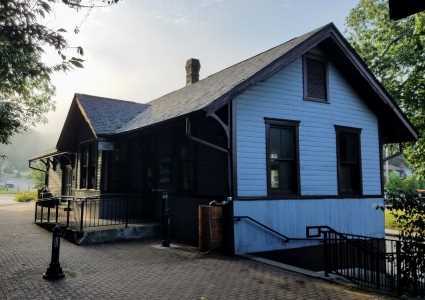 Arriving in Ohiopyle, take your time exploring the small town and surrounding hiking trails. Or simply sit by the falls and watch the rafters and kayakers make their way through the rapids. Stay in Ohiopyle overnight and visit Frank Lloyd Wright’s Fallingwater this morning. If you prefer not to tour Fallingwater, you can also consider whitewater rafting, a tour of Kentuck Knob, or relaxing in the Ohiopyle State Park for the morning. Bike another 11 miles to Confluence in the afternoon. *Fallingwater is closed on Wednesdays. Today the trail leads you through the dense woods and rolling farmland of Southwestern Pennsylvania. The Pinkerton Tunnel is your first of several tunnels on the GAP (use caution entering and exiting!). Ride across the Salisbury Viaduct and take a moment to pause and enjoy the spectacular view. End the day in the sweet town of Meyersdale (home of the Pennsylvania Maple Festival). After a full breakfast at your B&B, get ready for a special treat on your last day on the Great Allegheny Passage. Today’s highlights are the incredible views to be found at the top of the Eastern Continental Divide – you can see three states on clear days! Even better, after you’ve had your fill of the view you can spend the afternoon enjoying 20 miles of gentle downhill riding (1.75% grade). 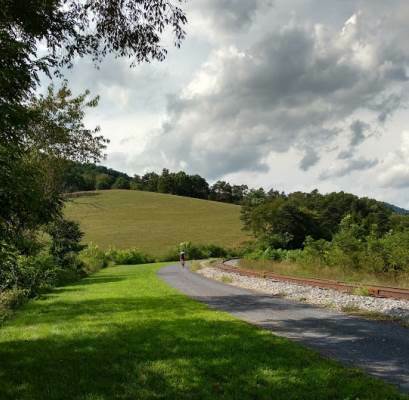 The trail here follows alongside the Maryland Scenic Railroad line; watch for the historic steam engine which still runs on some days. Meet your shuttle in Canal Place – at the end of the GAP trail – and enjoy your drive back to Pittsburgh. This trip includes lodging for 5 nights and 4 breakfasts. Our Great Allegheny Passage bike trips utilize the best in local B&Bs to ensure a comfortable and refreshing stay each night. 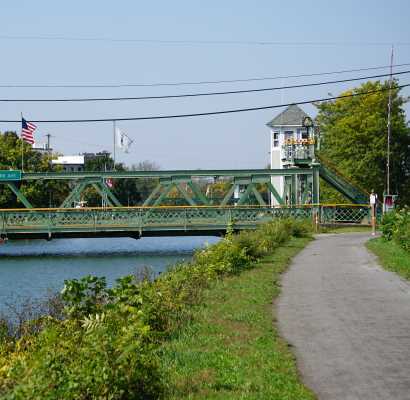 All B&Bs are located right next to or within a few blocks of the trail. Great Allegheny Passage tours are offered between late April and mid-October. This schedule is dictated by weather and trail conditions. Most riders choose to ride between mid-May to early October. Spring on the GAP is a wonderful way to restart your cycling season. April and the start of May can have periods of rain followed by periods of gorgeous spring sunshine. Spring flowers are found all along the trail and add a special color to your trip. Great Allegheny Passage trips start in Pittsburgh and end in Cumberland. We find this direction works best for the flow of the trip and travel logistics as riders fly or drive to Pittsburgh. This trip can be offered in the opposite direction – Cumberland to Pittsburgh – at the rider’s request or to offer the best lodging availability. The Great Allegheny Passage is a crushed gravel rail trail surface with a grade of less than 1%. Short portions of the trail near Pittsburgh and Connellsville are paved. The trail is well-maintained and kept clear by volunteers and local municipalities. There are restrooms at several trailheads along the way, and frequently towns where riders can stop for food, water, and bathrooms. The trail grades slightly uphill as you ride south, particularly in the section between Confluence and Meyersdale. Once the trail reaches the Eastern Continental Divide just beyond Meyersdale, the grade slopes downward to Cumberland at about 1.75%. *If you are riding from Cumberland northward, then expect to ride this uphill over the majority of your Day 1. It is not difficult, just make sure to take time to rest and have some water and snacks on the bike with you. WHAT IS THE BEST DIRECTION FOR THE GREAT ALLEGHENY PASSAGE? We recommend considering your pre- and post-trip logistics when choosing which direction to ride between Pittsburgh and Cumberland. If you are flying into or leaving a car in Pittsburgh, do you prefer to be shuttled back to the city on you last ride day OR to be shuttled to the other end of the trail on Day 1 and end your trip back in the city. If leaving a car in Cumberland, it’s the same question – do you want to end your trip at your car or at your shuttle? Our trip coordinators are happy to discuss different scenarios to determine which will work best for you. 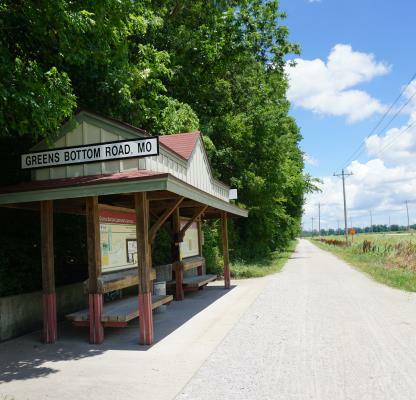 The GAP trail is not particularly isolated, although it does run through mostly small town and rural communities. You’ll find towns with food and bike services every 20 miles or so. Cell coverage is fairly good along the Great Allegheny Passage and Verizon covers most of the area. Wifi can be limited, although most B&Bs and hotels will offer the service. *There is no wifi and limited cell service in Ohiople. WHAT IS THE BEST BIKE FOR THE GREAT ALLEGHENY PASSAGE? The best bike for the Great Allegheny Passage is a hybrid-style bike with at least 28 mm-wide tires with minimal tread. If the trail is packed and hasn’t seen moisture for a while, you can run thinner tires (down to 23 mm). Mountain bike-style tires, or wide (2 in+) tires with large knobby treads, are not necessary for this trail and will actually slow you down. If the trail has been moist for an extended period of time, April and end of October/November, trail conditions can be soft and slow going. Bike rental can be included in this trip (Pittsburgh start only) at $190/bike. If you will not be returning to Pittsburgh, there is a Cumberland drop-off fee of $50/bike. Bikes can be picked up the afternoon before or morning of your trip. Our rental fleet includes the Kona Splice (S-XL), Norco XFR step-through (XS, S), and Fuji Traverse step-through (M) frames. All are well-suited to the GAP with upright, comfortable geometry, front shock, and disc brakes. All rental bikes come equipped with rear rack, rear panniers (2), handlebar bag, DIY tool kit (multitool, tubes, patch kit) pump, bell, headlight, lock, and helmet. Most bikes have 2 bottle cages; small frames (for heights 5’4″ and shorter) have space for just 1 bottle cage. A one-way shuttle from Cumberland to Pittsburgh is included in ALL trip prices. The shuttle can also run Pittsburgh to Cumberland if you are riding the trail in the opposite direction OR if you will be parking in Cumberland. The drive time is approximately 2.5 hours barring unusual traffic. Most often the shuttle is taken on the afternoon of your last ride day and returns you to Pittsburgh. Cumberland shuttles leave at 1:30 p.m. from Canal Place. Those who prefer to park in Cumberland, can schedule a morning shuttle on Day 1 or the day before. Morning shuttles typically leave between 8-10 a.m. Bright Morning B and B and Levi Deal Mansion were wonderful. The owners at both B and B’s were really great. Trip was nicely paced. We had no problem completing the mileage. The first day we added distance as we parked at Homestead, then biked in and out of Pittsburgh. Felt totally safe. Met some people biking alone. Fortunately we had no mechanical issues. The GAP is very easy to follow. We used the app for which you sent us the link- Ride with GPS. This was nice to have. Thanks for you help with this trip. We are giving consideration to biking the Katy Trail next fall. We had a great trip. Thanks again for setting it up. We really enjoyed staying at the Hanna House and Bright Morning. They were #s 1 and 2 respectively. Both had great food and were lovely. Hanna House was the best of all, however, taking into account Frances’ cooking, her giving us a ride to and from dinner, and the lovely old farmhouse. Bright Morning was a close second, with great food, very nice accommodations, and friendly host…. The trip was paced quite well, thanks, and the maps and tip sheets were helpful. Everything else was great – especially Hanna House – and we’re really glad we made the trip and went with you all to do it.